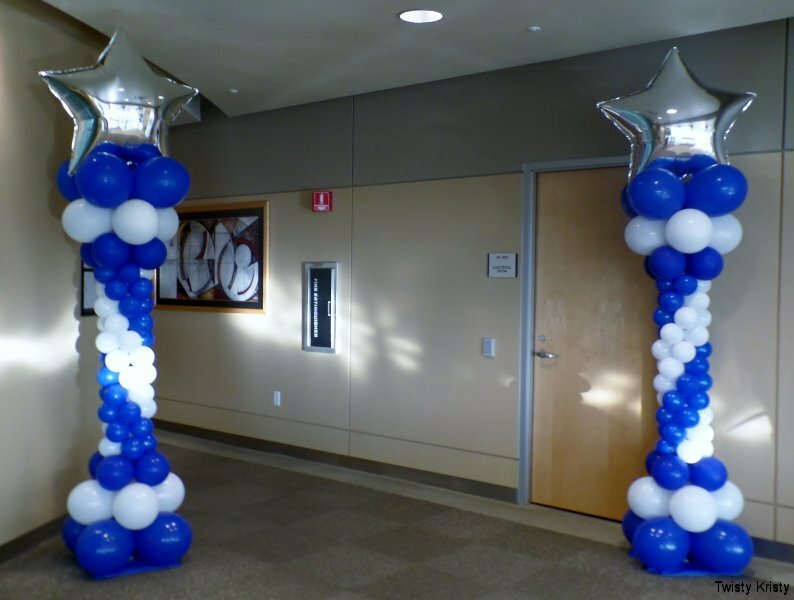 Balloon Columns - great for entrances - to define an area - or throughout the room. 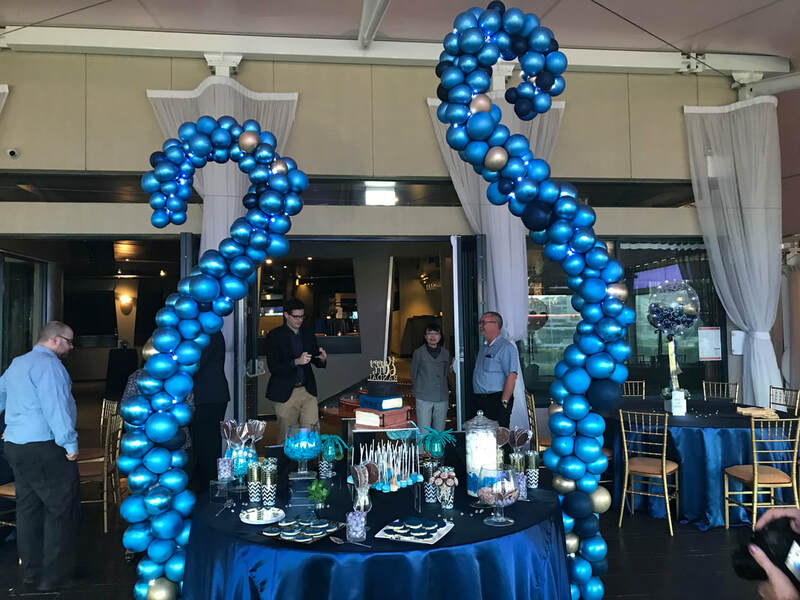 We create Balloon Columns in various iterations using latex balloons, round balloons, twisty balloons and long lasting foil balloons. It comes down to the look that you prefer, the style and whether the column needs to last just one night or a month. 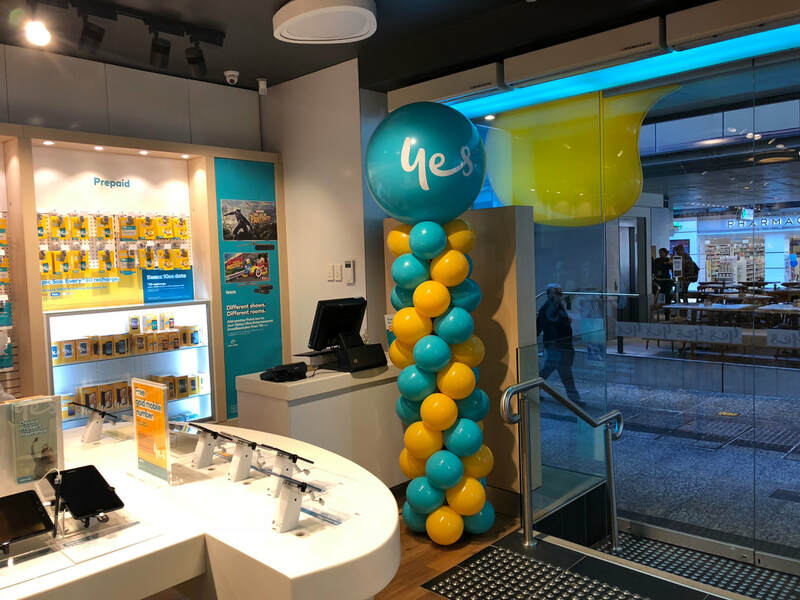 We add L.E.D lights to all balloon columns if they are required to last less than a week. 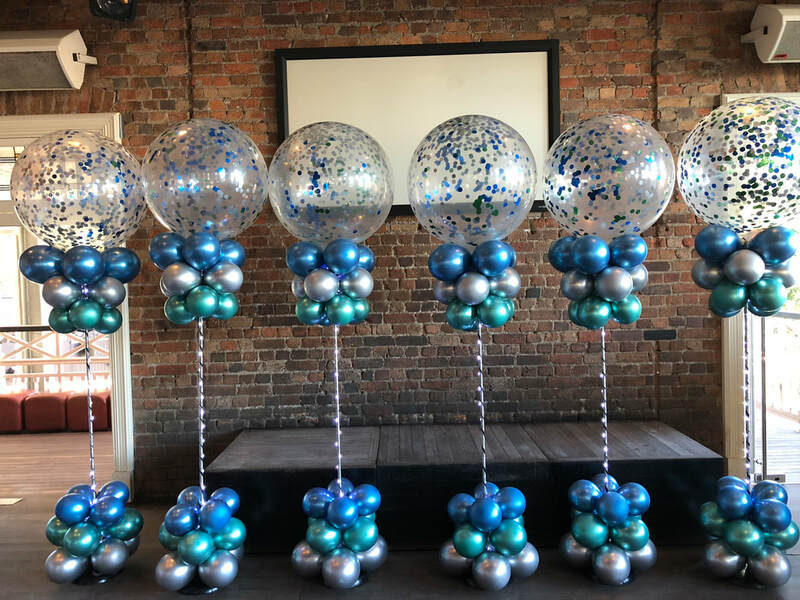 Our balloon columns can be made in any style and any colour combination, here are some samples below. 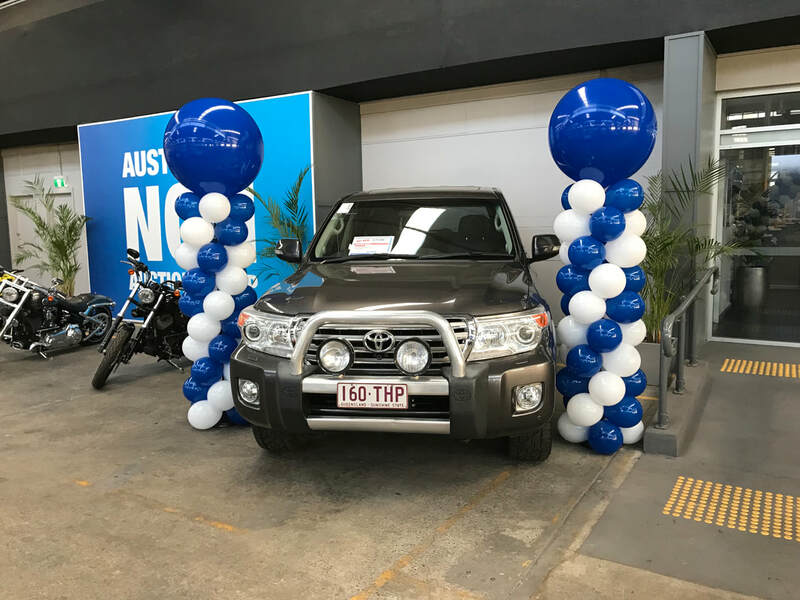 We believe we make the best looking balloon columns in Brisbane, for functions, corporate events, trade shows and events. 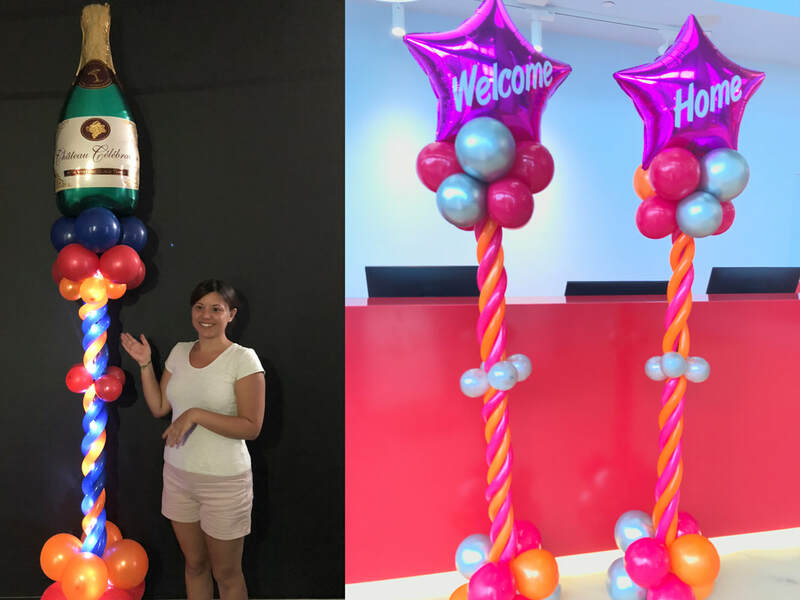 These above balloon columns are 8ft tall with a 90cm latex balloon on top of each column. Made of latex balloons they last a week or more indoors and a few days outdoors. Priced from $140 each. Bases and poles are retrieved. 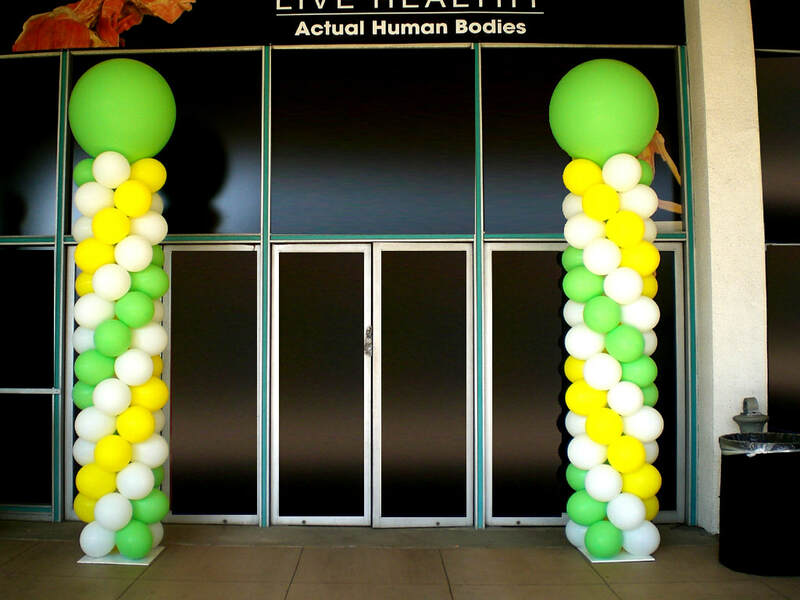 These above columns are latex balloon columns 6ft tall with a 90cm balloon on top. Last a week or more indoors and a couple of days outdoors. Priced from $125 each. Bases and poles are retrieved when they are ready to take down. 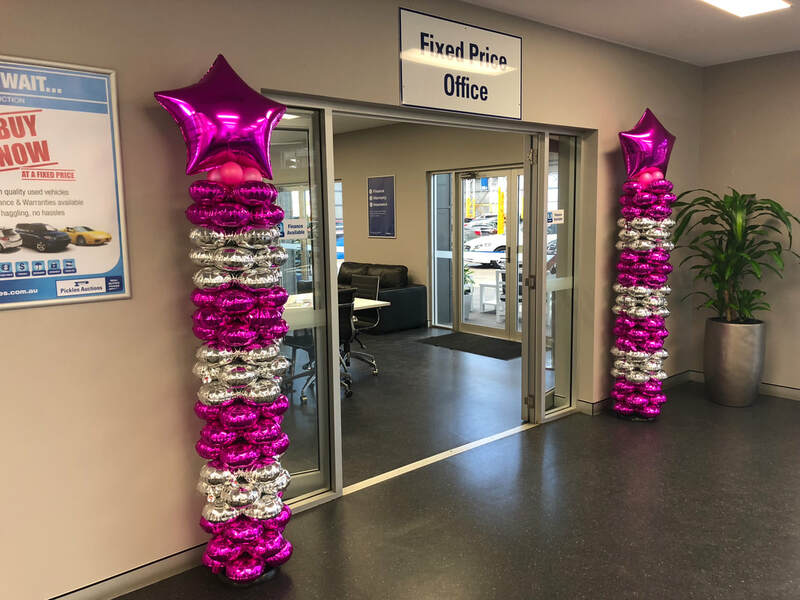 These above stunning Deluxe Sparkle Balloon Columns have a jumbo 90cm clear confetti balloon at the top with clusters of balloons underneath and at the base and l.e.d Ribbon Lites through the centre. Priced from $150. 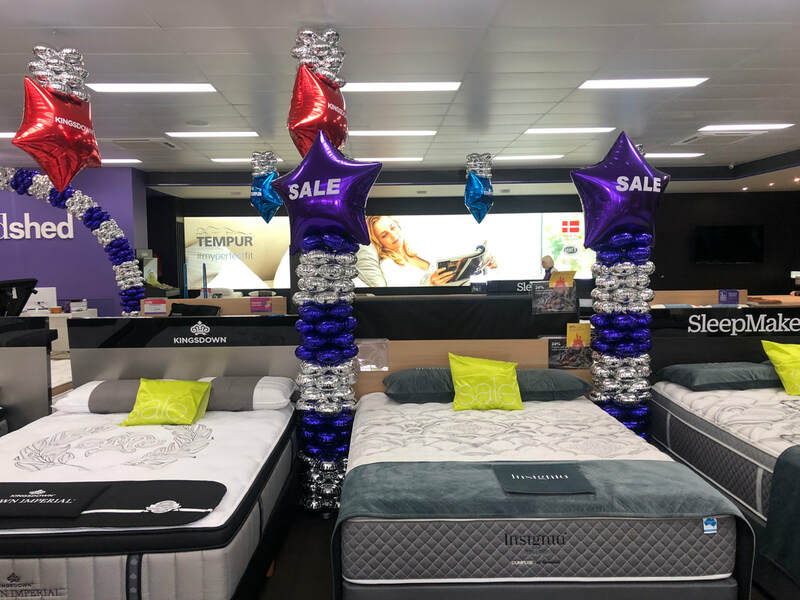 These above long lasting foil balloon columns last for weeks indoors. 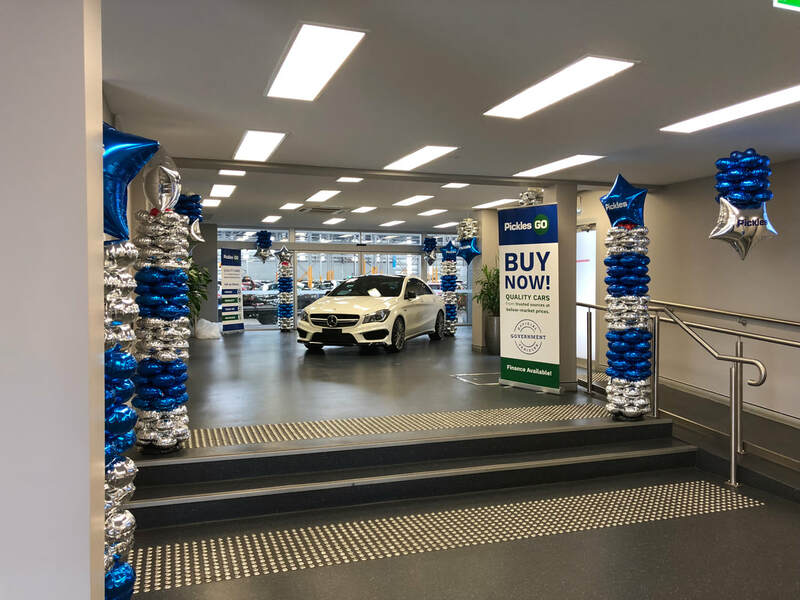 A perfect car showroom decor idea, Sale promotion or just to add colour and attract attention. Standing 8ft tall in all and Priced from $150 each. Poles and bases we retrieve. 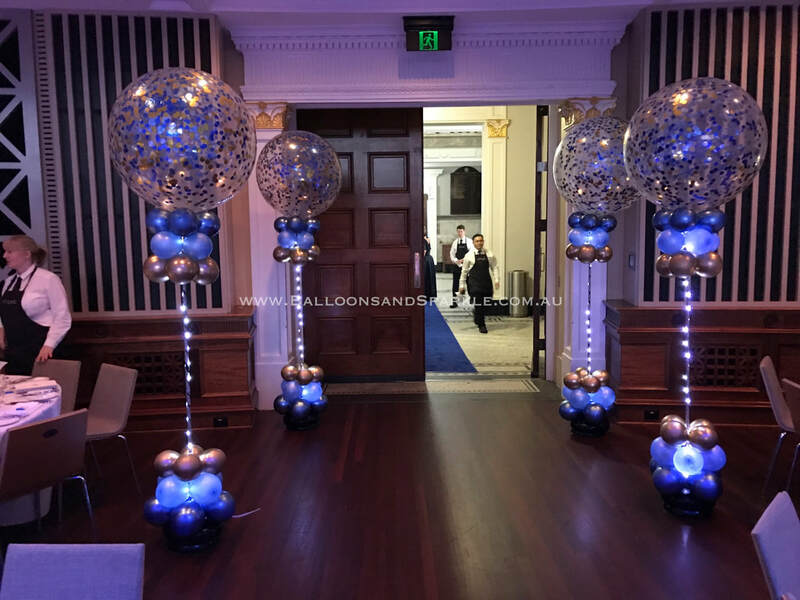 These above are Twisty Balloon Columns, a unique twist on balloon columns with a foil shape or personalised foil balloon on top and lights added, because we are balloons and sparkle. 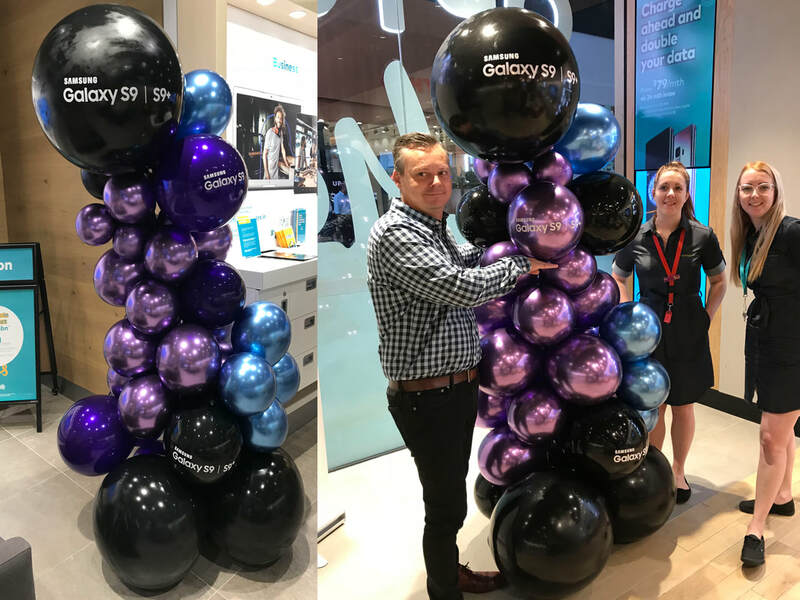 Again, long lasting foil balloon columns, we create them in almost every colour combination to suit the corporate colours, perfect for showrooms, sales, retail applications or parties. Priced from $150 each. Bring any area to life. Will last for weeks indoors.